We finally got home late Thursday night and are so glad to be here with our kiddies. We lucked out big time and are relatively untouched. Williamsburg is a bit of an oasis. There was little to no effect on my neighborhood which is a huge blessing, but it feels strange. 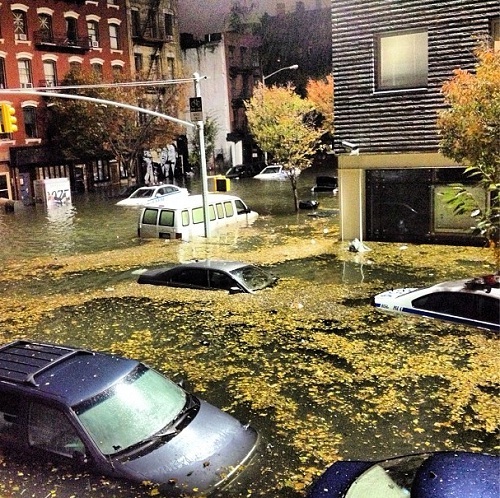 So many of our Brooklyn and Manhattan neighbors have been devastated and displaced. My heart goes out to all of you! Yesterday, I went through our apartment and donated bags and bags of toys and clothes and diapers and anything I could part with for the Red Hook Sandy Relief Initiative. There are tons of donation drop offs all across my hood and many online options for any of you interested in helping out. The cafe on my corner (Sweet Leaf, for those of you who know it, is accepting donations today and tomorrow for the Rockaways...ps 84, 110, and 34 in my hood are all accepting donations too). I know a few friends were organizing clean up crews for Queens families to help clean out peoples' basements. Another friend was collecting things for a family of six (with 10 month old triplets!) in Oceanside who lost everything! The silver lining here is how amazing New Yorkers can be in the wake of such a disaster. Hearts and hands reaching out and it's truly inspiring!